انجمن نجات ايران : Is Iran the World's Leading State Sponsor of Terror? Is Iran the World's Leading State Sponsor of Terror? Mrs Mogherini chooses to ignore the fact that on 1 July last year German police arrested Assadollah Assadi, a diplomat from the Iranian Embassy in Vienna, and charged him with terrorist offences. The day before, Belgian police arrested an Iranian couple from Antwerp after 500 gm of high explosives and a detonator were found in their car. They admitted Assadi had given them the bomb and instructed them to detonate it at the Iranian democratic opposition rally being held in Villepinte, near Paris on Saturday 30 June, attended by hundreds of political leaders including Rudy Giulliani, Newt Gingrich, Stephen Harper, the former Prime Minister of Canada and Bill Richardson - Former Energy Secretary in the Clinton administration and Presidential candidate. I was there myself. Of course, this was not an isolated incident. In October last year Danish police arrested an Iranian intelligence agent, Mohammad Davoudzadeh Lului and accused him of plotting to assassinate an Iranian opposition figure in Denmark. 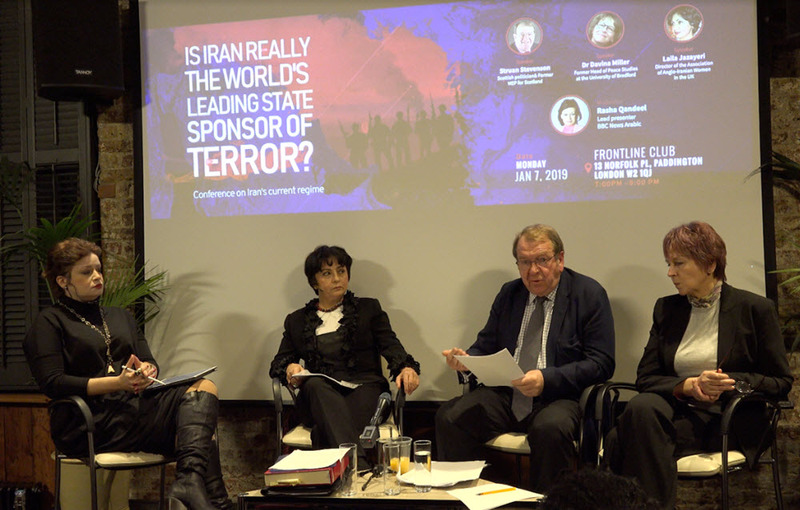 His active ties to the ambassador and the Iranian regime's embassy in Norway once again proved that these embassies are hotbeds of terrorism and espionage, openly abusing diplomatic facilities. The Norwegian media even published a photo of Lului attending a ceremony in the regime's embassy on the occasion of Nowruz – the Persian New Year 2017, sitting near the regime's ambassador. Last month I visited the large compound in Albania, which is now the home to 2,500 Iranian dissidents, men and women who are members of the main democratic opposition movement - The Mojahedin e-Khalq (PMOI or MEK). Indeed, the UN now has irrefutable proof that in 1988, when Rouhani was deputy military commander and a senior government figure, the regime coordinated the massacre of thousands of political prisoners in prisons across Iran, an atrocity that must rank as one of the worst crimes against humanity of the late twentieth century. Amnesty International recently released its report on the atrocity entitled: "Blood Soaked Secrets - Why Iran's 1988 Prison Massacres are Ongoing Crimes Against Humanity." The mass executions were carried out on the basis of a fatwa by the regime’s then-Supreme Leader, Ayatollah Ruhollah Khomeini. A ‘Death Committee’ of four senior officials approved all the executions, which Rouhani would certainly have been aware of. Struan Stevenson was a member of the European Parliament representing Scotland (1999-2014), president of the Parliament's Delegation for Relations with Iraq (2009-14) and chairman of Friends of a Free Iran Intergroup (2004-14). He is an international lecturer on the Middle East and is also President of the European Iraqi Freedom Association.